When you make the investment in a new Porsche vehicle, you’ll want to ensure your prized possession is protected at every turn. 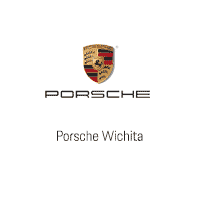 But when you have the fantastic team at our Wichita, KS, Porsche dealership here to support you, you’ll never have to worry about a thing. Whether it’s time for your Porsche to receive its first round of routine maintenance or you require more extensive repairs, we’re the place to turn to. Our technicians are trained at dedicated Porsche technical centers where they work to develop and refine their skills in handling these incredible driving machines. Only the most skilled techs graduate and earn their certification, so when you come to us you’re truly getting the best of the best. It’s also important to note that the only people who may attend these workshops are those employed as technicians at Porsche dealerships, so you continue to get unrivaled care. Whether you need brake service, transmission repairs or an oil change and tire rotation, we’re here to help in every way. If you find yourself involved in a collision and require more complex body repairs, we’ll return your car to you looking as good as new. Schedule your appointment today — we’re looking forward to working with you.